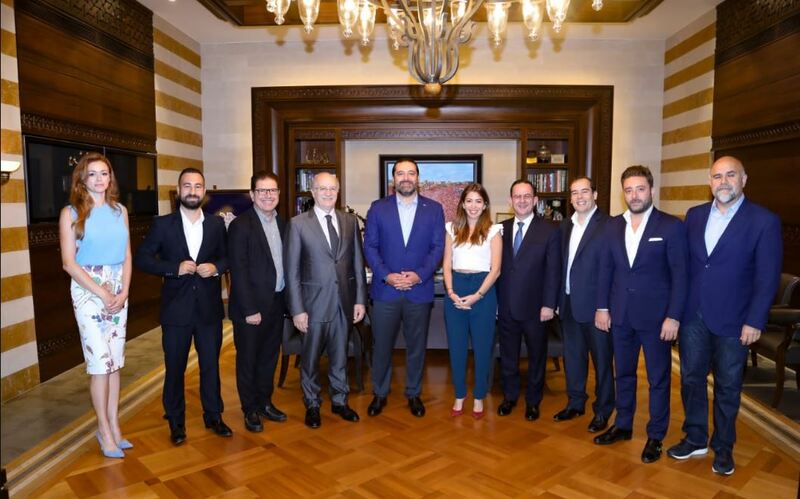 NNA - Prime Minister-designate Saad Hariri received today at the Center House representatives of Google Middle East and North Africa, in the presence of caretaker Minister of Tourism Avedis Guidanian and caretaker Minister of Culture Ghattas Khoury. The delegation informed Premier Hariri of the launch of Google's new service, Google Street View Special Collects, in Lebanon. It is a feature on Google Maps that lets users explore places around the world like landmarks, natural wonders, as well as culturally and historically significant sites. During the meeting, the delegation presented to Premier Hariri a live demonstration on how to view the imagery in a panoramic way and from more than one angle. Minister Khoury praised the importance of this initiative for the researchers and students because it allows them to easily access Lebanon's history and civilization, and it may encourage them to visit these historic sites all over Lebanon. After the meeting, Google MENA's Managing Director Lino Cattaruzzi said: "We capture unique places around the world and make them available and accessible for users worldwide. Today, we are honored to announce that we collected 360 imagery of the most unique landmarks in Lebanon with the Street View Trekker. These stunning images are accessible right from the palm of your hand. We look forward to putting more of Lebanon on Street View for the world to explore the country's rich heritage and culture". Google Maps Street View began in 2007 and today covers thousands of cities. The program includes capturing 360 degree imagery of theme parks, university campuses, pedestrian malls, landmarks and zoos. Lebanon's special collection of 41 iconic sites is now available on Google Maps and can be viewed on g.co/LebanonHighlights.